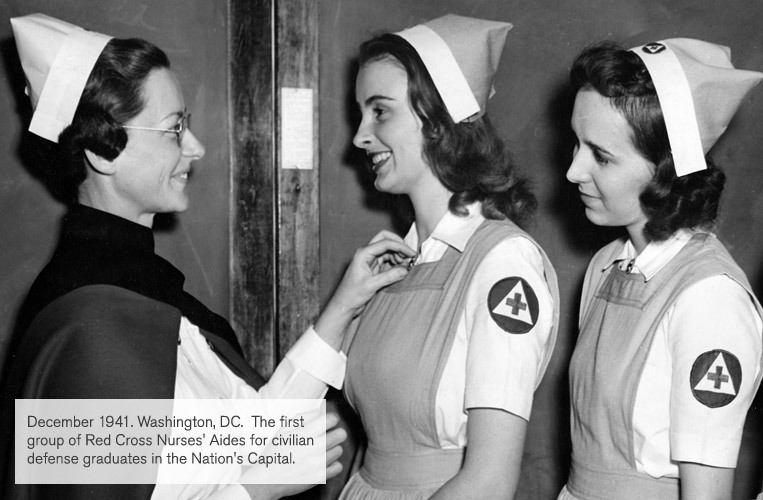 Between 1944 and 1945, through the Red Cross, thousands of nurse’s aides were called to assistant nurses during World War II. 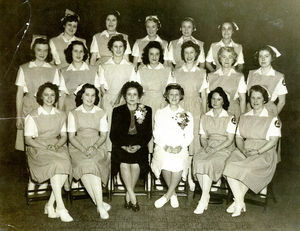 Volunteer Nurse's Aide Corps was established at the request of the Office of Civilian Defense and administered as a branch of the Volunteer Special Services. 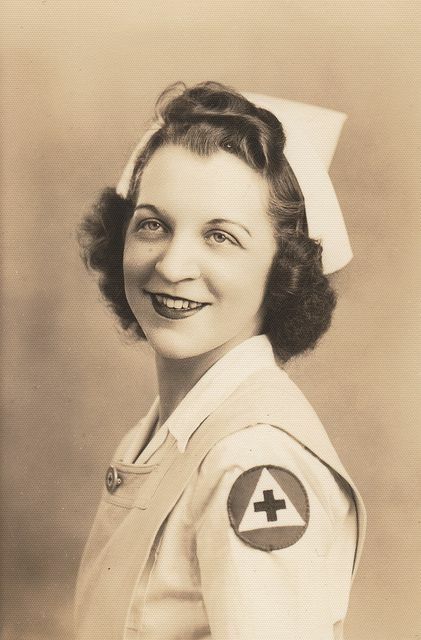 An intensive recruitment campaign enlisted nearly 212,000 volunteers who gave 42 million hours of service by 1945, making it the most successful nursing program of the Red Cross. 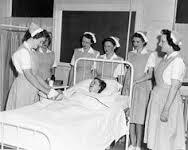 The volunteer women, aged between 18 and 50, performed non-technical work to give nurses more time to attend to their professional duties.